Why hasn't Reigns won a single PPV match since Wrestlemania 33? 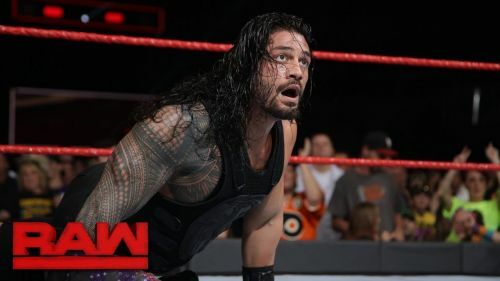 Roman Reigns was destroyed by Braun Strowman at WWE Payback, lost in the Fatal 5-Way match to determine the Number 1 contender at Extreme Rules, lost an Ambulance Match to Strowman at Great Balls of Fire (even though he managed to come out of that pay-per-view looking strong) and lost at SummerSlam in a massive Fatal 4-Way match (he even took the pin). This is a massive departure from the time when he was booked to be near invincible and seemingly never took the pin. Meltzer speculated on the massive change of heart from WWE. Despite the fact that he gets the most negative reactions on a weekly basis, Roman Reigns has been booked as a babyface. However, the fact that he never ever took the pinfall alienated the WWE Universe to Reigns, who did not appreciate the way he was being booked. Meltzer believes that WWE believes, that having Reigns lose so often would get the WWE Universe to root for him and therefore establish him as a babyface. We saw the seeds of a Reigns-Cena feud being planted on Raw. Let's see how it plays out in the coming weeks. This ploy is obviously not working since nobody seems to like Roman Reigns even after his succession of losses. Everyone knows that he is the golden boy of the company, and therefore, the rain of boos do not stop. I doubt anyone even particularly noticed his pay-per-view losing streak. Opinion: Is Roman Reigns Set To Be The New Paul Heyman Guy?